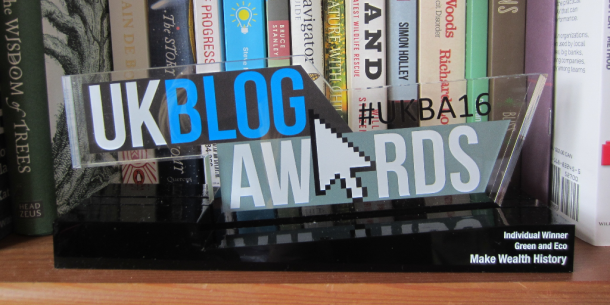 News: my long-running blog, Make Wealth History, won the Green and Eco category at the UK Blog Awards 2016. 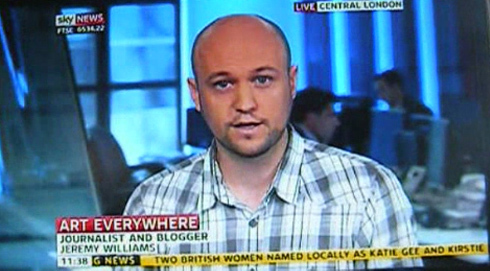 Studio interview for Sky News, talking about advertising and public space for the launch of Art Everywhere. 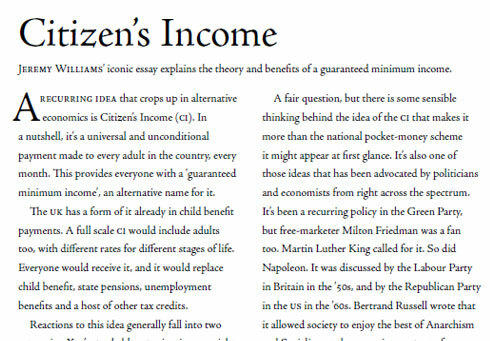 Essay on the Citizen’s Income in issue 9 of The New Escapologist. 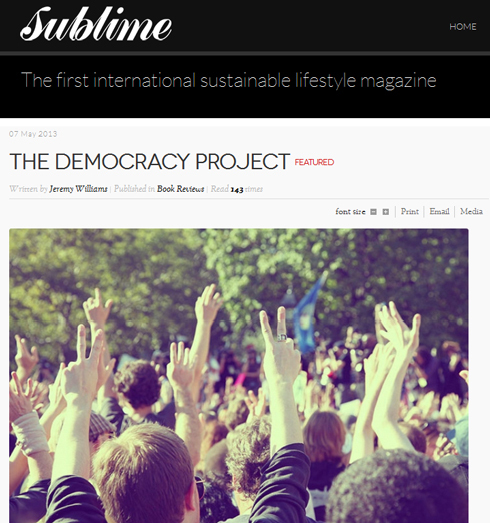 Review of David Graeber’s The Democracy Project in Sublime Magazine. 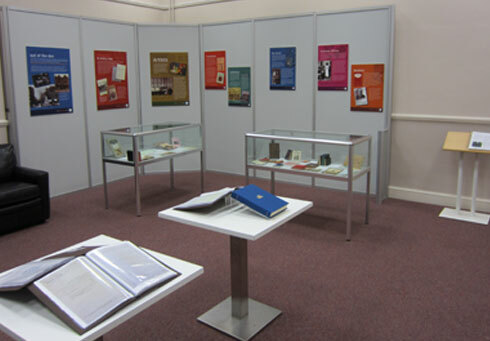 Researched and curated an exhibition for the SGM Lifewords 125th anniversary celebrations. 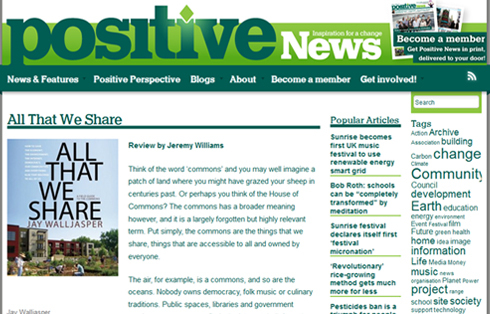 Post on arms sales to Madagascar for the Campaign Against the Arms Trade. 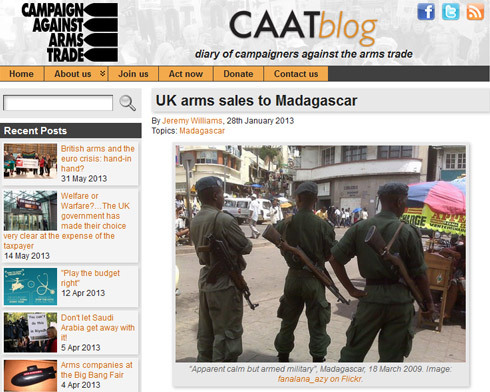 In 2012 CAAT released a new database of UK arms sales, and I looked up Madagascar out of curiosity. It turns out Britain had licensed several shipments of arms to the country, despite its current un-elected coup government.